Note, 2007: This is a series of articles dealing with a constitutional crisis in the National Union of Christian Schools, now known as Christian Schools International. The first article, “Will the NUCS Remain Christian?” was originally published in The Outlook (April, 1972), 13-16. It also appeared in Christian Educators Journal (May, 1972), 22-23, as “Constitutional Revision in the NUCS: Counting the Cost.” The second article, from Christian Home and School, deals with the issue in a more popular way. The third article, from 1982, “Are the Reformed Creeds Worth Keeping in Schools?” The Outlook 32 (Jan., 1982), 7-9 and (Feb., 1982), 6-8, deals with a similar issue, raised ten years later. In all these cases, the issue was the influence of the philosophy of Herman Dooyeweerd as reflected in the Association for the Advancement of Christian Scholarship (AACS) and the Institute for Christian Studies in Toronto (ICS). On these, see my booklet The Amsterdam Philosophy, https://www.frame-poythress.org/frame_books/1972Amsterdam.htm, and my articles filed under the title “Dooyeweerd and the Word of God” at the same web site. These articles are posted with the permission of the original publishers. Will the NUCS Remain Christian? Will the National Union of Christian Schools re­main Christian? The answer to such a question seems almost self-evident, for the NUCS has labored unceas­ingly for years to develop and maintain a school system true to the Word of God. How could it con­ceivably change its total direction? So I ask, in all seriousness: Will the NUCS remain Christian? And I have a special reason for asking it at this time. For in my view the current program of constitutional revision is fraught with spiritual perils. Before we get started on the specific issues, a word to the wise: find out what’s going on! I am extremely distressed to find how few NUCS people are even aware of the different pro­posals for constitutional revision and the profound differences between them. Fewer yet have studied these proposals in detail. At the annual meeting in Langley, B.C., last Au­gust, I was astonished to find how few delegates were aware that the overall direction of the NUCS was at stake in the proposal brought before that meeting by the board of directors. These issues are profound ones, and everyone should be made aware of them: every teacher, every administrator, every school board member, every association member, every Christian parent, every school child over twelve. Opposition to a traditional commitment — The first major issue, as I see it, concerns the traditional com­mitment of the NUCS to the Reformed Creeds and Confessions. One group within the organization op­poses this commitment on the ground that these documents are “ecclesiastical creeds” and therefore should never be part of the basis of an educational organization. But consider the cost of eliminating this commit­ment: The Reformed Standards contain the clearest, fullest, most accurate summaries of Scriptural teach­ing now available: wonderfully concise and precise statements on Scripture, God, creation, sin, redemp­tion — doctrines which determine the whole direction of our educational task. Do we really want to lose all this, replacing it with a mere skeleton of Christian doctrine, as some propose? The Reformed confessions are not mere “ecclesi­astical” creeds if by that is meant creeds concerned only with the workings of the visible ecclesiastical organization. They simply expound the Biblical Gospel — that Gospel which demands obedience in everyarea of life. That Gospel, and hence the confessions which proclaim it, addresses the heart of man, not merely some particular aspect of his life. Thus it is entirely appropriate that such creeds be included in the Basis of any Christian organization. It might, of course, be desirable for the NUCS to supplement the creeds with a contemporary statement applying the Gospel-teaching to the specific area of education; but the proposal to eliminate these creeds would greatly impoverish our testimony. The 1971 shock and now a reversal — Another point, however, must also be made in this connection: The 1947 constitution of the NUCS, which contained in its Basis a commitment to the “Reformed standards” also declared that this commitment was “unalterable.” At the 1969 annual meeting, it was proposed that the 1947 constitution be set aside in favor of a revised set of “By-laws” which omitted that historic commitment. Some argued that as long as a new constitution was being adopted, the “unalterable” articles of the old one could not be considered binding. Others, however, rejected this argument: for on that basis any unalterable article could be altered, simply by saying that the alteration created a new constitution! The delegates then voted to retain the commitment to the Reformed standards; and only after that did they agree to adopt provisionally the revised by-laws (amended to include this commitment) in place of the old constitution. Most of those delegates went home thinking that commitment to the Reformed standards was now a closed issue. Imagine their shock to find in 1971 that the board proposed another new basis which again eliminated commitment to the Reformed standards — in defiance not only of the “unalterable” commitment of the original constitution, but also of the mind of the membership as it was clearly expressed in 1969! Why the board supported this proposal so per­sistently — contrary as it is both to the historic posi­tion of the NUCS and to the current thinking of the organization — is anyone’s guess; but the 1971 annual meeting also refused to endorse it, choosing rather (with virtual unanimity) to retain the 1969 provisional Basis for another year. Most recently, the board has reversed itself on this crucial issue and now has come to endorse continued commitment of the NUCS to these confessions. This reversal was in my view most wise and courageous, and though some will not approve of it, I believe it deserves our enthusiastic support. The NUCS has a moral obligation, imposed upon it by those who adopted the 1947 constitution and respected con­sistently by the delegates at the NUCS annual meet­ings, to retain its historic commitment to the Reformed Standards. A serious charge — The importance of this point is underscored even more emphatically when we con­sider that the proposal offered to the annual meeting in 1971, because of its elimination of commitment to the Reformed standards, would have failed (had it been adopted) even to commit the NUCS to the Gospel of Jesus Christ. This is a serious charge indeed, but it is not dif­ficult to demonstrate. That document did speak of certain consequences of “sin” and “redemption” for education; but nowhere did it tell us what sin and redemption were. If indeed that document had in­cluded commitment to the Reformed Standards, it would thereby have directed the organization to some very good definitions and accounts of these matters. As it was presented, however, it said nothing about sin and redemption that a modern religious humanist could not say. Those who argued that this proposal offered to the NUCS a broader appeal to the evangelical com­munity by its omission of the Reformed creedal com­mitment failed to ask themselves what evangelical (Reformed or non-Reformed!) with any discernment would be happy in an organization failing even to endorse the simple Gospel. The proposal in fact risked a drastic narrowing of the NUCS constituency. But worse than that, it left the organization with no constitutional defense against the same false teaching that has permeated the public schools. It thus betrays the trust of the great numbers of Chris­tian parents who have given sacrificially to provide their children with an education true to God’s Word. What of the authority of Scripture? — But wait! Didn’t this proposal commit the organization to the authority of Scripture? And wouldn’t that commit­ment insure the evangelical character of the NUCS? This brings us to the second major issue now con­fronting the NUCS: the doctrine of Scripture. 2. If we want to say more than that — i.e., that the Bible is the Word of God, why don’t we come right out and say it plainly? Why the circumlocution ascribing this belief to the Reformed confessions? Historians of doctrine know that people invariably use such circumlocutions in creeds as pretexts for minimal interpretations of them. 3. Specifically: the circumlocution is unclear about the relation between our view of Scripture and that of the Reformed confessions. The conjunction “as” is notoriously ambiguous. Would we be using it to assert precise identity between our view and that of the creeds (cf. “The experiment turned out ‘as’ it did before”)? Or would we be using it to assert a mere similarity between the two views (cf. “That little girl is good ‘as’ gold”) — possibly in the respect that both views find the Word of God “inscripturated in the Bible”? Or would we perhaps be using “as” merely to cite the confessions as examples (cf. “That figure occurs in many authors, ‘as’ in Shakespeare”) of views that find the Word of God “in” the Bible? This lack of clarity would have opened the door wide for unscriptural teaching in the NUCS. 4. The threefold correlation between creation, Christ, and Scripture is misleading unless it is also said that Scripture must govern our interpretation of creation, and that Scripture is our only access to the Word of Christ. Otherwise, an evolutionary biologist, e.g., could claim that he was basing his teaching on the Word of God in creation (as observed by Darwin) even though that “Word” contradicts Scripture. (He would doubtless hasten to add that Darwin contra­dicts only that part of the Bible “in” which the Word of God has not been inscripturated!) Also: a Barthian Bible teacher, say, could criticize the Bible on the basis of his alleged independent access to “Christ.” Whatever might have been gained by this threefold correlation would surely have been lost by the ensu­ing practical confusion, since the document failed to give any account of the relations between creation, Christ, and Scripture in the concrete educational en­terprise. A call for support — On this issue, as on the issue of the Reformed Standards, the board of directors has recently reversed its previous position and has recommended dropping entirely the concept of the threefold Word and confessing unambiguously that Scripture is the Word of God. Again, I applaud their action. But they will need wide support in the NUCS to maintain that position. There will be opposition to it from the same group that favors the elimination of the NUCS commitment to the Reformed standards. It seems to me, however, that without a clear commitment to the authority of Scripture the very Christian character of the NUCS will be in jeopardy. The Basis proposed to the August 1971 annual meet­ing had no clear confession of Scripture and no clear confession of the Gospel of Christ. Had it been adopted, the NUCS, I believe, would now have no official commitment to Christianity at all. Although the board has significantly changed its position, there are still those in the organization who will want something like the above-criticized positions. We must all be considering these issues thought­fully and prayerfully lest we risk bringing upon our­selves that awful curse which the Lord Jesus Christ pronounced upon those who cause his little ones to stumble! We must adopt a Basis which expresses clearly our allegiance to Christ, His Gospel and the Scriptures; else, I fear that the NUCS may quickly lose its usefulness to the Kingdom of God. I’ve been asked: should a Christian school sub­scribe to church creeds in toto, or only to those parts of church creeds which are “relevant to education”? The question, of course, assumes that some parts of the church creeds are irrelevant to education, and that is what I wish to deny. 2. There is, however, an even more direct kind of “educational relevance” in the affirmation of church creeds. That is, purely and simply, that every Christian school curriculum involves Bible courses! If we are going to teach Bible to chil­dren, there is surely nothing irrelevant in the confession of documents which summarize Bibli­cal teachings. And let no one argue that you can teach Bible without getting into “theological,” “doctrinal,” or “creedal” issues. Anyone who teaches Bible that way is not teaching it very well. Any teaching of Bible which avoids the great creedal issues will be at best a mere telling of stories, at worst a Bible-distorting moralism. 3. But the creedal doctrines have implications for other classes besides Bible. Let’s take an un­likely example: Is the doctrine of limited atone­ment “relevant” to a physics class? On the sur­face, it would appear not. But let us recall that the doctrine of limited atonement was formulated in opposition to Arminianism, and the chief error of Arminianism is its affirmation of human au­tonomy as over against God. Now surely in a Christian school, we want to have physics teach­ers who reject such autonomy and who affirm that God does control all things. An Arminian physics teacher would very likely be unable to make such an affirmation, and that would be serious indeed. Try another example: Is it im­portant for a physical education teacher to deny baptismal regeneration? Well, he probably will not have occasion to lecture on the subject! But if he believes in baptismal regeneration, he will very likely underestimate the power of Satan among his students, and will therefore be in­clined to give them less discipline than they need and to communicate to them an inadequately dis­ciplined approach to life in general and athletics in particular. The point is simply that Christian­ity is a unified way of thinking and living. Inadequacies in various parts have a way of af­fecting the whole. None of us is competent to determine what doctrines if any are incapable of such effects. The interrelations of doctrines with one another and with life are subtle and mys­terious. We cannot safely say of anything God has revealed that it is “unimportant” for some area of life. God wants all of us to live by “every word that proceeds from the mouth of God” (Deut. 8:3; Matt. 4:4). We can never tell when some word of God will become surprisinglyrelevant to our labors, whatever those labors may be. A very clever school board might be able to find two sentences in the Belgic Confession, say, that do not seem to be obviously “relevant to education.” But is that really worth the bother? And is it worth the risk? I think, therefore, that we would be most un­wise to say of anything in the Reformed creeds that it is “irrelevant to education.” The Reformed creeds are summaries of the Biblical message of salvation; and the Biblical message has a way of becoming “relevant” when we least expect it. I think, therefore, that the NUCS was wise when, in the 1972 annual meeting, it affirmed an un­qualified subscription to the “Reformed creedal standards” as interpretations of Scripture. I be­lieve that local schools should do the same. Natu­rally, I have not had the space to discuss the desirability of such subscription in general, or to discuss the various views of the church, the school, and the creeds which underlie much of the discussion in our circles. I have addressed only the narrow question: “If we are to use the church creeds, ought we to confess them in their entirety?” I believe I have given reason to an­swer that question in the affirmative. Mr. Myron D. Ran in our November issue called attention to a proposal to remove the Reformed creeds from the bases of our Christian schools in an effort to broaden their appeal to non-Reformed people. When a similar proposal was made a dec­ade ago Professor John M. Frame, a delegate to the Christian school convention, alerted the other delegates to its significance, and it was defeated. Professor Frame, now Associate Professor of Apologetics and Systematic Theology at the new Westminster Theological Seminary at Escondido, California, analyzes the new proposal, which ought to be studied and discussed by all who love our schools. For many years now, voices in the Christian school movement have supported the formulation and adoption of “educational creeds” to replace the historic church creeds as the basis for Christian edu­cation. N. H. Beversluis (in The Banner, July 20, 1981) reports that “In the 1920’s Clarence Bouma made an eloquent appeal to the schools to base them­selves not on church creeds but on a reformed educational creed” (p. 14). Ten years ago, the Na­tional Union of Christian Schools (now Christian Schools International) discussed the adoption of a new “basis article” for its constitution. The original proposal eliminated reference to any church creeds and put in their place a rather skeletal formulation of reformed educational philosophy. The NUCS found this formulation quite inadequate. It was pointed out that this educational creed did not even include a clear statement of biblical authority, but instead referred vaguely to a threefold word of God in creation, Christ and Scripture, with no indication as to how these three “words” related to one another. The NUCS convention meeting in Langley, B.C. decisively rejected this plan. The following year, the NUCS adopted another statement which made clear the continued allegiance of the organi­zation both to Scripture and to the historic Re­formed confessions. 1. How should this issue be resolved? In 1971, the proposal to revise the NUCS basis was prepared so quietly that much of the member­ship of the organization scarcely knew what was happening. There had been very little discussion of the document in NUCS or Christian Reformed pub­lications — certainly no comprehensive exposition and analysis of it, certainly no critical discussion pro and con. Members of my own local school board found it difficult even to obtain copies of the docu­ment prior to the convention. At the convention it­self, I discovered that many of the delegates had not read the proposal at all and were taking its sound­ness for granted. Most were extremely surprised to discover, during the floor debate, the serious, tragic weaknesses of the new proposed Basis. I find it utterly incomprehensible that such a ma­jor issue could be treated in secrecy. Imagine what would happen if the Christian Reformed Church were to consider elimination of the Heidelberg Cate­chism from its constitution. The issue would be so momentous that every classis, every congregation, every family, every publication, every college or seminary professor would be deeply preoccupied with the question. Opinions would be expressed at great length, and doubtless action on the proposal would be postponed again and again until everyone was convinced that the issue had been fully dis­cussed. Now I don’t want to press too far the parallel between CSI and the CRC. But anyone with a grain of sense can understand that creedal revision in any Christian body is a matter of utmost importance, atleast for that body. Nothing can be more crucial. This matter must not be voted on until there have been intense discussions both in local school boards and in the annual meeting. There must be thorough analyses presented, both orally and in print. There must be discussion pro and con in all periodicals of the churches and of the Christian education move­ment. Brothers and sisters, we are children of the light. Supression of debate, or restriction of it to an elite, has no place in the body of Christ. All of us have a stake in these matters. If a new idea will not survive close examination by the boards and school socie­ties, then it ought to be defeated. It is our right to demand full information; and we dare not adopt a new proposal without it. 2. Do we need an educational creed? Let us now look, in a preliminary way, at some of the matters in question. For many, the chief issue seems to be, simply, the desirability of an educa­tional creed. Scripture, after all, says much that is relevant to education, and it stands to reason that a concise summary of this biblical material would be extremely useful. God certainly has not stopped teaching his people since the seventeenth century. The great work of Kuyper and his followers has taught us much about the educational imperatives of Scripture. Thus we cannot remain satisfied with the old creeds; we must press on. We must confess what God has taught us recently in this area; and it is ap­propriate that such a confession be found in the con­stitution of a Christian school system. Do I agree with this argument? Of course! It is Scriptural, Reformed, cogent. Do we need an educa­tional creed? Certainly we do. You see, there is this misconception around that when people oppose the sort of package proposed by Beversluis they are necessarily opposing the idea of an educational creed as such. Thus we (we oppo­nents) are accused of being traditionalists, opposed to progress in understanding, uninterested in the relevance of our confession to the work of education in the 1980’s. Granted, some such reactionary atti­tudes exist in our circles; but please, do not accuse all of us of harboring such ideas. If someone writes a really Scriptural and helpful educational creed, he will have my enthusiastic support. 3. Must we eliminate the church creeds? (a) Some have argued that the church creeds are too narrow in their scope to be suitable for use in educational institutions. Cf., e.g., articles by Hendrik Hart and Paul Schrotenboer in the Interna­tional Reformed Bulletin (Spring-Summer, 1972). The argument goes that “institutional churches” such as the Christian Reformed Church address human life from only one of its “aspects”: these insti­tutional churches deal with us in the area of “con­fession” or “faith” or “worship”. The churches, therefore, are “worship-organizations”, not educa­tional or labor or political organizations. Therefore the church creeds are relevant to worship or confes­sion, but not to education, labor or politics. There is some truth in this argument. Certainly a church is not a school, a labor union or a political party. But I think it is unscriptural to represent the church as only one of many “organizations” which equally represent the body of Christ. In Scripture, the church has a special, focal position. The church is the body of Christ. Its apostles, prophets, pastors and teachers are officers of the body, not merely of­ficers of one “organization.” And the purpose of the church is not narrowly limited to “worship.” Its pur­pose may be described in terms of “confession” or “faith,” but only if those terms be understood broadly. It is the job of the church to provide motivation and direction for believers in all areas of life, and to bring unbelievers to a knowledge of the Christian life in its fullness. Thus the historic confessions are not limited to “worship,” or even to “faith” or “confession” if those terms are understood in some narrow sense. Read them! Reformed denominations have generally adopted “directories of worship,” indeed, because their basic confessions (such as the Westminster Confession or the Belgic Confession) said very little about worship. Reformed confessions present the basic biblical gospel of salvation — a gospel which bears equally upon all aspects of life. They (especial­ly the cathechisms) present elaborate discussions of the law of God, of Christian ethics — command­ments which we must keep in view all the time. The creeds are not as exhaustive as Scripture itself is, but their scope is just as broad as Scripture. They seek to do nothing less than to summarize that gospel which Scripture itself identifies as its chief content. Every Christian organization needs to hear the message of the creeds, for it is the same as the message of Scripture. (b) A second argument one hears is that, granting the general relevance of church creeds to education, many of the details of the creeds are irrelevant. Two observations: First, it is interesting that no one ever says this about the Scriptures, though prima faciethere would seem to be large stretches of Scripture, too, that are of relatively little interest to education. The reason is that, of course, we all know that you can’t pick and choose within Scripture. The gospel message is defined by the whole Bible, not by some red-letter sections. To apply the argument to the creeds seems to me a bit more plausible, but equally silly. Second, what doctrines of the creeds are “irrel­evant to education?” Christology? Divine sovereignty? The doctrine of the church? It is easy enough to make broad, sweeping claims about the ir­relevance of church creeds to education, but it is very difficult to single out specifically which doc­trines can be omitted. We shall see below how the task force draft seeks in vain to bypass the Calvinist/Arminian issues. If we seriously intend to base our educational program upon the gospel of Jesus Christ, and if we sincerely accept our creeds as statements of the gospel, how can anything in those creeds be set aside? I have some sympathy for this argument. I’m hap­py to see CSI “reaching out.” As a non-Dutchman and a non-member of the CRC, I have long felt that CSI was rather too provincial both ethnically and ec­clesiastically. And I applaud the desire to reach out even beyond the Reformed community. However, I really doubt that the theological differences be­tween Reformed and non-Reformed traditions can be avoided in the educational context (see #4 for a case study). Further, I think that to compromise the Reformed doctrines is to deprive ourselves of the highest quality contact with non-Reformed evangel­icals. The fact is that many evangelicals today are attracted to Reformed schools precisely because of our distinctives. My friend Jim Veldkamp is a Reformed scholar in the field of education who has had much contact with non-Reformed evangelicals over the last few years. 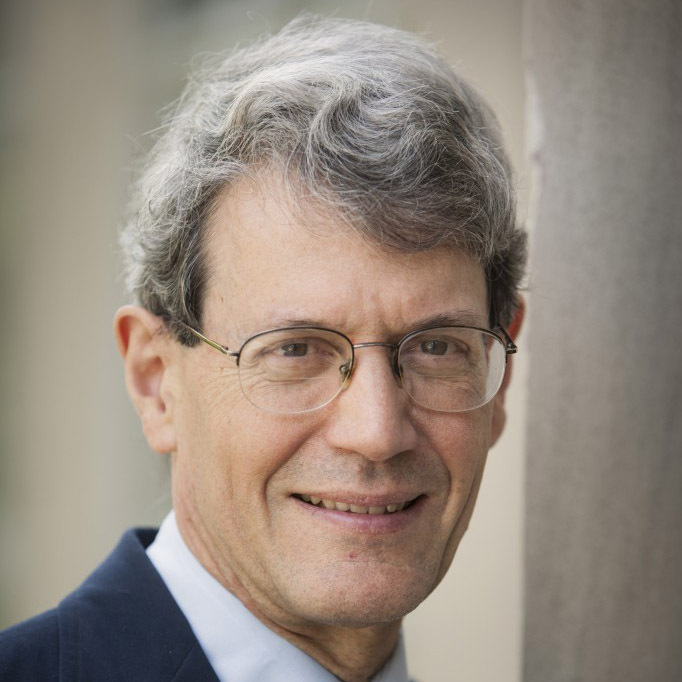 He tells me that at one fun­damentalist college there is a faculty study group going through Norman de Jong’s Education in the Truth. He says that he has had many opportunities to discuss Reformed philosophy of education with such brethren. And neither de Jong nor Veldkamp seeks to play down the doctrines of the creeds. The pervasiveness of secular humanism in our time has led many evangelicals to seek out the one branch of Protestantism with a carefully thought-out theology of education — the Reformed branch. Will we so di­lute our own commitment that we will have nothing unique to offer our evangelical brethren? The possibility is disconcerting. It seems to me, therefore, that it would be unwise to drop the church creeds from our school constitu­tion unless an alternative can be found which states as comprehensively as the Reformed creeds the bib­lical gospel. So far as I know, none of the proposed “educational creeds” states, as clearly and fully as the historic creeds, the gospel we believe. Thus we ought to maintain the church creeds, supplemented by statements of educational philosophy which ap­ply the gospel to specifically educational matters. Professor John M. Frame, Associate Professor of Apologetics and Systematic Theology at Westmin­ster Theological Seminary at Escondido, California, concludes his analysis, begun in our January issue, of a new proposal to remove the Reformed creeds from the bases of our Christian schools. He is refer­ring to a 15 page document entitled Christian Edu­cational Philosophy: A Creedal Summary, by N.H. Beversluis which can be obtained from Christian Schools International 3350 East Paris Ave. SE, P.O. Box 8709, Grand Rapids, MI49508. 4. Is the proposed educational creed adequate ? It might seem unfair to criticize a document which is not yet in final form. Surely we must keep in mind that the proposal is still subject to revision. And we must appreciate the difficulty involved in doing this task well. The job of setting the basic direction for the whole Christian school movement is an enormous responsibility, one which opens the writer to criti­cism from many sides. On the other hand, it is pre­cisely the difficulty of the task (as well as its impor­tance) which necessitates extensive public discussion. We must make use of as many gifts in the church as we can in working toward the proper formulations. And it is important to have public discussion at an early point in the development of our creed, before partisanship develops, before people’s positions get locked in cement, while they can still change without losing face. Thus I propose to make a preliminary evaluation of the task force’s preliminary draft. And of course, my evaluations are just as tentative as thedraft itself. They will surely be revised, and I trust for the better. Let me begin by summarizing the draft. 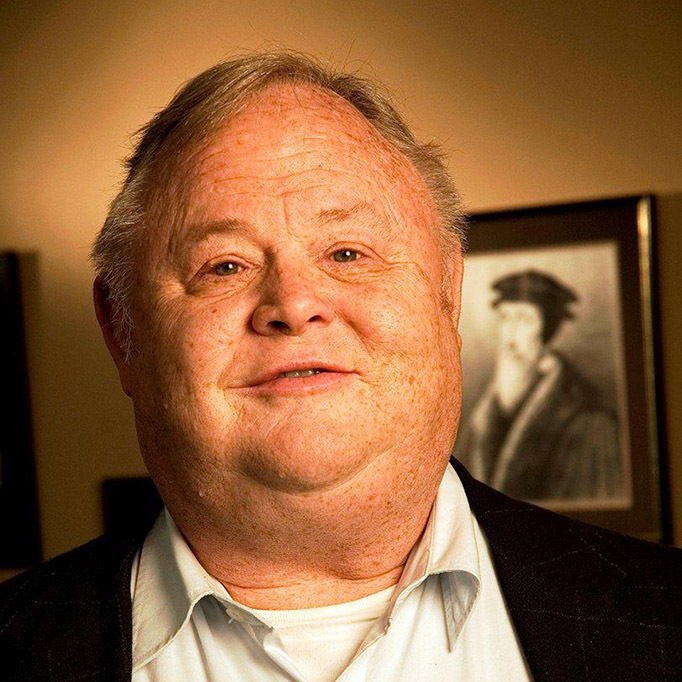 The docu­ment begins with an introduction indicating the gen­eral character of Reformed Christian education and the purpose to be served by an educational creed. The creed itself is divided into two parts, the first titled “Religious Vision in Education: Biblical Per­spective,” the second “Religious Vision in Education: Classroom Application.” Part I is about four pages, Part II about nine. Part I includes three sections, one on creation, one on the Fall, one on redemption. Each of these deals with the covenant relation. The docu­ment understands “covenant” as “a relationship, a fellowship, a communion of life ” (p. 3). It involves com­mandments concerning piety (Gen. 2:17), community (Gen. 1:28) and cultural obedience (Gen. 1:28, 2:15). Keeping these commandments requires education (p. 5) through which “personal wholeness would be nurtured” (p. 5). The Fall leads to disobedience and estrangement, both from God and from fellowmen. This process is restrained by common grace so that “many of (God’s) fallen image-bearers display remark­able traces of truthfulness and goodness in their search after God, in their human associations, and in doing the world’s work.” Redemption, however, is necessary to restore the covenant. Faith in Christ in­volves believing in Him as Mediator of both creation and redemption; He is the Word of creation, the Savior of the world, the Lord of glory. It involves a renewed life, a life of keeping the three covenant commandments. Teaching the young in this new life is the work of Christian education. Part II offers some “classroom applications” of the above principles. The first section, “Schools and Cul­tural Obedience,” argues that schools must take ac­count of culture both as human activity and as human theories or programs. Cultural products must be evaluated as good or bad, not simply avoided (as in pietism) or accepted (as in “accommodationism”). Christians must both affirm and transform culture. Section 2 deals with “The Nature and Needs of Children”: It says that we need to learn both from Scrip­ture and from the sciences as to what children are and what they are like. Scripture also gives impor­tant information about what the children ought to be. Section 3 discusses “Aims” of school education (which are partly shared with the home and church): growth in intellectual insight, moral awareness and choosing, creative freedom and participation. Intellectual growth is “understanding,” not mere mastery of facts and data. Moral growth “includes far more than learning and observing rules, and it is the opposite of moralism” (p. 10). It “has to do with internalizing God’s law” in all areas of life. Creative growth is openness to disciplined change. Section 4 presents a “Priority Curriculum for Christian Education.” The goals of the curriculum are to encourage students both to “affirm” and to “trans­form” culture. “Priority” is given to those courses which most fully expose students to the richness of human life in the world and which best encourage their intellectual, moral and creative responses to that richness. A number of paragraphs follow, relat­ing these goals to the fields of “Basic skills and development studies” (reading, etc. ), natural sciences and mathematics, social sciences, history studies, literature, languages and the arts, religious studies. Section 5, “Teaching and Learning in a Christian School” discusses criteria for a good Christian school teacher: he is well-educated, godly, open to change, understanding of children (realizing that “not the teacher nor the curriculum, but the children are the dramatic focal point for all that goes on in the school”) (p. 14). A good teacher aims at “closure between teaching and learning.” His work involves not only tactics and techniques, but also art and faith. The document concludes by emphasizing the “affirmational” character of a CSI school. I am happy to say that from my point of view this document is far superior to the document which was placed before the NUCS in 1971. The present docu­ment states clearly (as the earlier one did not) that the “foundation on which Christian education rests is the Bible…” (p. 3). Further, there is nothing in the document that I could simply disagree with. And it does include some very helpful formulations. But there are, of course, problems. The style of the document strikes me as rather wordy, and yet at cru­cial points I found myself asking for more explanation of important concepts. In seeking, for instance, to dis­tinguish education in the school from that in the home and church, the author uses an extremely vague formulation: But in a division of responsibility, the school does this in the manner of a school The school is a community of formal teaching and learning. It uses school subject matter and school methods. As a school, it emphasizes especially the Christian’s responsibility in the domain of culture and cultural obedience (p. 7). But it is by no means clear what “formal” education is and why “formal” methods can­not be used in home or church; nor is it clear why home or church cannot emphasize cultural obedience. And it surely doesn’t help us much to learn that a school is distinguished by “the manner of a school,” “school subject matter” and “school methods.” If youdon’t know what is distinctive to a school, you prob­ably won’t know what is distinctive to “school methods,” etc. I wish someone, somewhere, would produce a coherent formulation of sphere sovereign­ty which avoids this sort of muddle. Similarly, when the document speaks of moral growth as “the opposite of moralism” (10) I wish it had provided a definition of “moralism.” That term is used in a vast number of confusing ways; it has a bad “feel” to it, but doesn’t communicate anything definite. And when the document speaks of “closure between teaching and learning” as in some sense the final goal of the whole process, one wishes either for more explanation or for more simplicity. Is the idea simply that we want our students to learn the things we try to teach? That seems obvious, hardly worth the rhetorical effort. Or is there some more esoteric concept in view here? If so, the author failed to com­municate it to me; better try harder to achieve “closure”! refuge… (p. 2, cf. p. 15). The statement goes on to cite other terrible things that Christian education is not, expressed in termi­nology that is more emotive than clearly descriptive, things that no one in his right mind would dream of praising. It is a bit amusing to read all these nega­tions in a paragraph dedicated to showing how af­firmative we are. Surely the paragraph itself shows that we are both positive and negative! Further, is there no sense in which our movement is a “protest movement”? Are we not, indeed, protesting secular­ism and unbelief, along with all our affirmations? Then on p. 12, the discussion of literature and the arts, the document speaks of the “delight and celebra­tion these studies provoke” without any counter­balancing reference to the disgust and renunciation which the believer should rightly experience when exposed to the effects of sin in these disciplines. On p. 14, then, much emphasis is put upon a “child-centered” kind of teaching which is defined (insofar as it is defined) in terms of response to each child’s “private curriculum.” Again, I miss counterbalancing statements as to the need of correcting the child’s idea of what school should be, the need of teaching the child that he is not the center of the universe, that he must conform to the reality of the world out­side of himself. On p. 10, so much is said about the importance of encouraging freedom, exploration, innovation, etc. that I felt the need of some statement to the effect that the child must also learn to subordi­nate his freedom to the rights of others and the com­mands of God. It’s not that the counterbalancing statements are entirely missing. Much is said about moral training, about bringing norms to bear, about judging ele­ments of culture as good or bad. Thus the document is not “affirmative” without qualification. But the quali­fications should have been taken seriously enough to modify the rhetoric of the document as a whole. It is wrong to use a rhetoric which suggests we “affirm” everything in the sinful creation, when in another place we introduce qualifications which deny that suggestion. By reformed here I do not mean Reformed in a creedal or denominational sense. I mean reformed as a way of thinking and a way of life; as a way of interpreting history and the Bible; as a way of accepting the Christian’s vocation in the world under the kingship of Jesus Christ (p. 14). What are we to make out of this? What is this “creedal or denominational sense” that Beversluis declines to use? Does the word “reformed,” when ap­plied to a creed or a denomination, have nothing to do with a way of thinking or of life? Does it have nothing to do with interpreting history and the Bible? with accepting one’s vocation under Christ? I confess I can’t make much sense out of this. But it does alert us to one thing: Beversluis is using “reformed” in a rather odd way. Thus we should not automatically take comfort in his assurances that his creedal proj­ect is distinctively Reformed. Further, recall that this project has an ecumenical purpose. Beversluis explicitly wishes to develop a creed which Arminians can sign in good conscience. So the whole project seems seriously confused theologically. What about the sovereignty of God? We recall that Beversluis seeks to produce a document that a non-Reformed person can sign in good conscience. But healso wants a document that is distinctively Reformed, in some odd sense of “Reformed.” Could an Arminian sign the present draft? That’s hard to say. In speak­ing of “history studies” (p. 12), the document says that “Students learn that although God is sovereign over all, human choices matter.” Does this mean that God controls everything that comes to pass, that His decree ordains all the events of nature and history? If not, I would say that it is surely inadequate as a state­ment of the Reformed view of history. But if it does express a Reformed view, then I don’t see how an Arminian could sign the document. And on page 5, we read that “God’s special gift of redemptive revelation and par­ticular grace offered and today offers his fallen imagebearers the forgiveness of sins and the re-sanctification of their lives….” Does redemptive grace do no more than offer forgive­ness and sanctification? Look: if it is important to dis­cuss soteriology in this educational creed, then it is important to present it right. If it is important to speak of grace “offering” forgiveness and sanctifica­tion, then it is surely important to speak of grace con­ferring, effecting these. It is utterly implausible to argue that the former is “important to education” while the latter is not. So why does this document avoid the latter expressions and adopt the former ones? Unless it was sheer oversight, the only expla­nation would seem to be a flat-out concession to Arminian doctrine. The moral of all this is that it is not so easy, after all, to avoid discussions of “church” doctrines in the “educational” context. The two spheres cannot be neatly separated. This fact corroborates what I said earlier about the need even for educational institu­tions to subscribe to “church” creeds. I think it is quite impossible to formulate a creed which is Re­formed (in some meaningful sense) but which can be signed by an Arminian. I honestly wish it were possi­ble to transcend this ecclesiastical division in the educational sphere but I just don’t see how it can be done. Surely we must not try to achieve this result through ambiguous language, or by avoiding crucial issues. Thus, on balance, it seems to me that much work needs to be done before this educational creed will be ready to do service. Its ambiguities and doctrinal weakness render the present draft inadequate even to supplement the church creeds, let alone replace them. Not only are the formulations inadequate, but it is devised to accomplish an impossible, wrong-headed goal, the goal of a “reformed” confession which an Arminian can sign. To review, then: (1) This issue must be submitted immediately to an intensive public discussion at all levels of the Christian school movement. (2) A scrip­tural educational creed is a good idea. (3) Eliminating the church creeds is not a good idea. (4) The current draft of the CSI task force needs to be carefully re­written to achieve more clarity and doctrinal accu­racy, and the whole project needs to be rethought as to the goal in view. Originally published in The Outlook (Jan., 1982), pp. 7-9, and (Feb., 1982), 6-8.